Ziggy is the nebbish that everybody seems to pick on. So I guess this is appropriate. 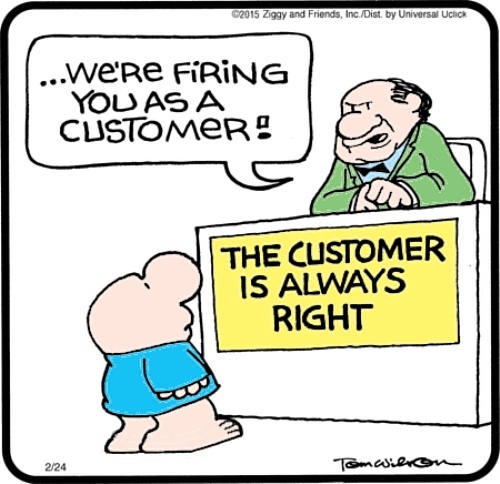 The comic appeared on February 24, 2015. I have modified it slightly. Isn’t this just what it feels like sometimes? Let me continue documenting my trip Out West this past summer. Last blog post about the trip I’d been tossed from the shuttle bus system at the Grand Canyon. That meant I was doing more driving than necessary. But I also didn’t do much hiking. A couple of weeks ago there were a bunch of articles about a new study discussing why humans walk heel-toe. The articles related that to dogs and cats, who walk on their toes. 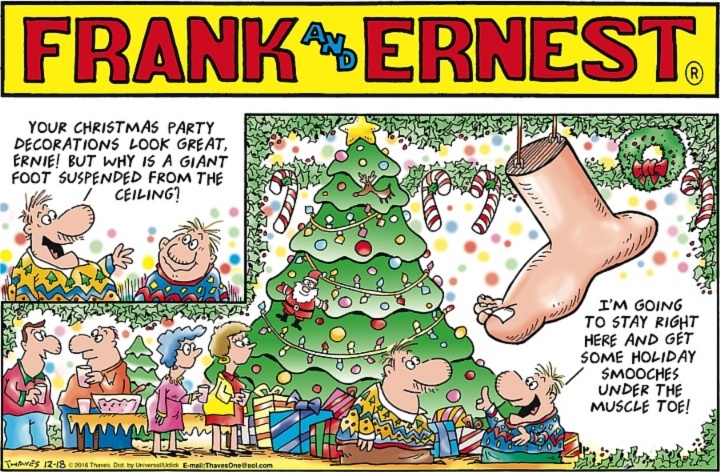 The Frank and Ernest comic strip (created by Bob Thaves and currently drawn by his son, Tom) seems to exist solely to illustrate bad puns. Here’s the one from last Sunday. Continuing blogging about my trip out west this summer, I’m now up to August 20. In the morning I left Chaco Canyon. In the afternoon, I arrived at the Grand Canyon. And in the evening I got an all-expenses paid, free trip in the back seat of a police cruiser. Around here, we’ve finally gotten above freezing (just barely) after being below zero (Fahrenheit). There’s snow on the ground and last night we got a tenth of an inch of freezing rain. So, let’s look back to a time when it was warm (summer) and kids actually went barefoot (the 1960s). This is the Red and Rover strip from July 18, 2004. The joke of the strip is totally unrelated to Red being barefoot. So what? It’s showing summertime. Here’s a comic from last year, August 14, 2015. It’s from Hi and Lois, written these days by the sons of the original artists. I need to keep that excuse in mind. PS. Did you know that Lois is the sister of Beetle Bailey?